Hello everyone, I’m pleased to give the closing post for this year’s edition of 31Days 31Voices. My year began in the emergency room, I was really sad because I never thought a day would come when I would be in the ER instead of church or somewhere else during crossover service; I guess that was a rude awakening to the reality of being a medical doctor. I am not one of them. This year was lukewarm for me, not here not there, flaccid. I literally was living one day at a time through my postings, except during my leave when I had sometime to do other things aside medicine. I was usually so tired every day I hardly had the strength or creative will to create or write anything. Although behind the scene, I was working on a vision journal and a script for a stage play. I haven’t finished both sadly. In every situation no matter the circumstances be thankful and continually give thanks to God; for this is the will of God for you in Christ. At some point, I wasn’t sure I wanted to do this series this year because of the reasons above, however, my spirit kept playing the verse above in my heart so I decided otherwise. No matter the unfinished task, plans or dreams, I still choose to share whether things go my way or not. I’m thankful for my internship year and most especially for God’s favor; I shared about it here and here. I thank God for the postings I got, they were good. When I started internship, I prayed to God that I never wanted a crazy, get out of hand call or shift and I didn’t want anyone to die the day I was on call no matter how bad they get. And I usually say this to my friends; “My hands are healing hands, whoever I touch must get well.” For one year, I’m glad no one ever died on my wardcall day. I’m thankful for family; Dr Orenuga you’re just so sweet, thanks for the invite, I thoroughly enjoyed my stay. Thank you to my friends, same names every year y’all know yourselves, I pray all our dreams will come true and more proposals, wedding bells, career advancement this year. Amen. I’m thankful for Maxwell, OMG! Thank you for all our money talk this year; your financial goals make me want to do better. Thank you for pushing me to do and be more; you may not know it but I’m grateful for how God used you in my life this year. My dear Faderera. Thank you for all you do and you’re to me. Our hour long gist is second to none, even O notices if we haven’t had our session in a while. I love you so so much darling. 21/12/17: After our hour long gist about our dreams and I shared how mine looked insurmountable but O helped me pull down the spirit of fear. I was taken back to that Saturday in 2009 in your parlor when we spoke about my likelihood of getting into Unilag to study medicine, lol. Our dreams will come true because we believe so we will see! Chimezie, my sweet friend. Thank you for being such a beautiful soul, I look at you and pray to God to bless me with such a compassionate and selfless heart. I don’t know how you do it but being your friend sweet die, even Hans can not separate us. Shittum thank you for always listening to my ideas and believing in me, I pray to see what you see soon. Thank you for all the impromptu and artistry outings in 2017, my creative alter ego is grateful. Oh Tope 029k, thank you for that ticket to Adekunle’s show. Music hasn’t gotten me to that crescendo in me since secondary school, it was so much fun and I danced my thighs out! I just love me some good music, so good to know we have things in common. I pray the new year brings the fulfillment your heart desires. I’m grateful for my blog readers and everyone who was a part of this year’s 31Days 31Voices, you guys make me continue to forge ahead and do better. Darling Anita, it was beautiful meeting you this year. I pray 2018 will be your year of testimonies. Consider it sheer gift, friends, when tests and challenges come at you from all sides. You know that under pressure, your faith-life is forced into the open and shows its true colours. So don’t try to get out of anything prematurely. Let it do its work so you become mature and well-developed, not deficient in any way. I developed my confidence in patient management. I learnt and still learning how to write script. I’m so grateful for Mentorship for Life and SWORTE; these two inspirational groups created a media for me to learn, unlearn and relearn. I’m grateful to God for this. I smell a year of mails, applications and exams. Take my giftings more seriously. Dear Lord, help me to love with reckless abandon, help me to be compassionate. The dream is great but God is greater. I can sense 2018 is going to be so good! Happy New Year in advance, I love you all. See you in 2018. 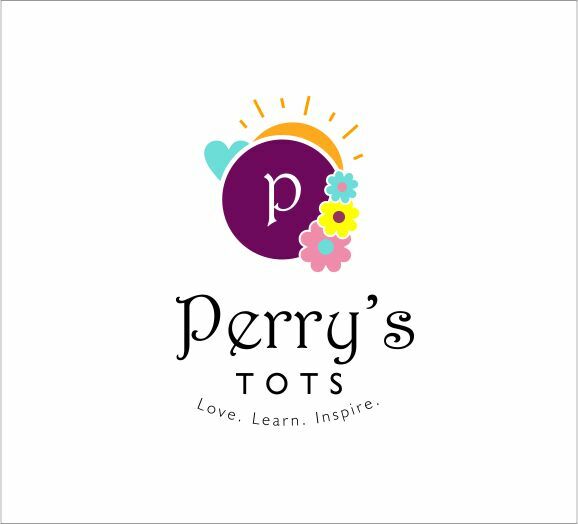 Please kindly subscribe to Perry’s Tots via mail and comment before you leave and share what you’ll like to see on the blog in the new year. Thank you. @adepero thank you for the kind words but this part … “even Hans can not separate us” got me rotf with laughter. This is so nice,so inspiring and mind blowing!!! Thank God you didn’t give up on the series that makes me smile anytime I read one of the articles.Wishing you a more prosperous New Year and success in all your endeavours.The Sky is your limit.Cheers!!!!! Thanks Cassandra for following the series so passionately. Happy new year dear. Nice piece…. Live your dreams. Sending lights your way. Adepero Ajayi, thank you for the pleasure of being part of your incredible journey. There are heights to reach, so now is the time for that butterfly to break the cocoon and fly!